Here's a taste of some projects and clients. There are many more, so please don't hesitate to ask if you'd like to see additional work. 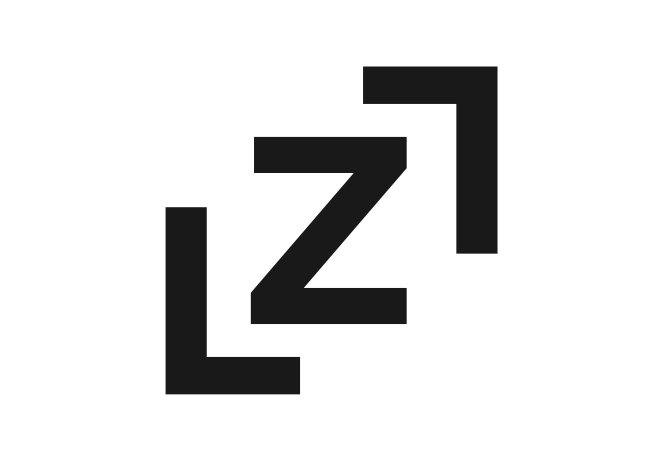 Challenge: Elevate the LZL brand by developing a brand story ⎯ a distinct point of view that breaks through the clutter and inspires demand from stockists and consumers around the world, while also serving as a solid foundation for growth. Our vision was to merge a high-end aesthetic with a fresh, creative spirit and sensibility like the LZL bags themselves and their uber cool female founder. Result: Crafted language and a visual world that turns the category on it's head, pushing past the generic and expected, frilly and traditionally feminine, to position LZL as a fresh take on classic forms ⎯ "offering subtle statement pieces that work, whenever, wherever, forever, defying convention and outlasting trends." Self-expression is key and all brand touch points convey life, energy and a sense of the unexpected. Challenge: Craft the brand persona and show the events industry that with Twirl, events can be sustainable AND fun. Green doesn't have to mean brown and boring. Result: Created a brand that feels fun and eventful at every touch point while providing hard facts on why sustainability actually makes good business sense. “Events with more impact, less footprint.” I created an ownable signature offering for them called “creative sustainability.” In the four months following branding completion and their new website launch, Twirl saw a 60% increase in new business and doubled in size. Challenge: Develop an authentic, powerful, personal platform for Lama Rod Owens, a leader of the next generation of spiritual teachers and activists. The challenge was to maintain the integrity of his work, convey the breadth of his knowledge (he has a Masters from Harvard Divinity School and is also a formally recognized Lama in the Kagyu Buddhist lineage), in a modern, relevant way that appeals to those looking for substance and style. Result: Created a visual identity and platform (Unmasked) that conveys the essence of his work in a way that's easy for people to understand and breaks from the stodgy, stoic and outdated look and feel of many in the spiritual space. I gave him enhanced language for how to talk about himself and his message and guidance on how to bring that to life. His IG following has since quadrupled in size and people love his site! Challenge: For those interested in going solar, it’s hard to know you’re getting honest, equitable service and the best, most financially viable system. 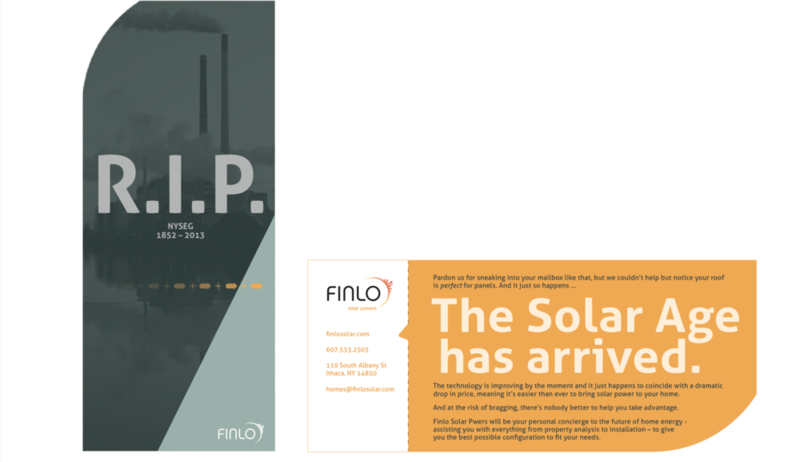 Finlo Solar came to me for help branding them as “cool,” approachable unbiased solar experts, not pushing their own systems but working to find the best solar configuration for their clients. They were interested in attracting residential clients as well as investors and entrepreneurs looking to be part of a radical systemic solar project that would bring large scale transformation to cities and neighborhoods. Result: Coined the term “solar advisors” and developed innovative, easy to navigate branding unlike any in the solar space. We used parallax scrolling in the website design for increased interactivity, as well as bright, crayola colors to connote ease and told a very human story about the company’s founder. See here. We also designed provocative yard signs to promote local awareness. Kristin Miscall: What's True Now? Challenge: The Alcoa Foundation came to us to name and design logos for two high-profile global initiatives the CEO wanted to herald for the company’s 125th anniversary. They were looking for something fresh and modern but still in line with the Alcoa mother brand. One program is an ecology initiative that involves all the Alcoa plants around the world tracking the ecosystems in their vicinity, so actively taking responsibility for the life around the aluminum plants. The other is a youth employment program aimed at training young people for manufacturing jobs and ultimately reducing unemployment. The names, and logo look and feel had to translate across the world while avoiding feeling trite and expected. Result: Alcoa and the Foundation were thrilled with the results for "Eco A" and "FLEX" as the programs are now named, as well as their logos. Challenge: Red Bull Music Academy needed a stellar launch event following their 2013 artist workshop series. They wanted something disruptive and on brand. United Purpose, the “Soho House” for purposeful entrepreneurs mentioned the opportunity. In perfect synchronicity NB had just signed on as brand strategist for the award winning filmmakers, Planetary Collective and their upcoming feature film Planetary. (Their short film Overview received rave reviews and was watched by over 2 million people within 3 months of it’s release.) We saw an opportunity to bring these three parties together to further their goals; give Red Bull a killer event furthering their "Red Bull gives you wings” brand purpose, and grow awareness and buzz for United Purpose and Planetary Collective’s feature film. 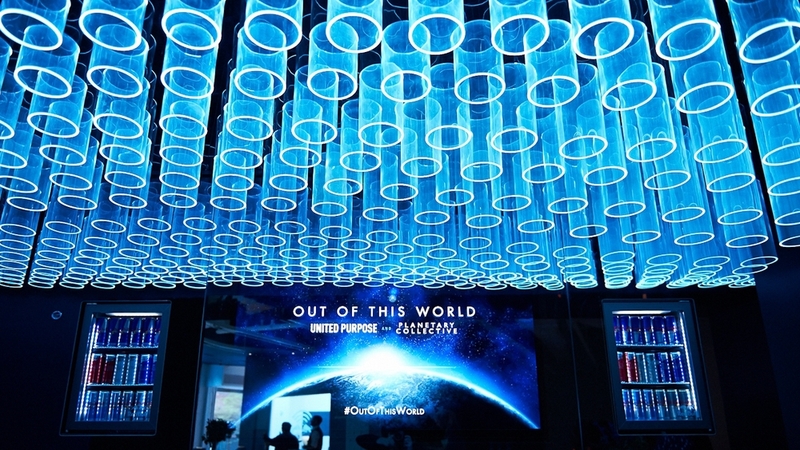 Result: Created a multi-sensory event called “Out of This World,” leveraging the current outer space/cosmos trend and literally and figuratively took people out of their worlds, using great music, food, and film. We created a night around activities designed to utilize the amazing Red Bull space, it’s audio equipment, acoustics etc. We held a screening of the trailer for the feature film Planetary, followed by a panel discussion with leaders in the field, including two of the most popular astronauts today (Michael Massimino and Ron Garan) as well as Angel Kyodo Williams, a female Buddhist best-selling author and monk. Twirl handled food, beverage, seating and event flow. United Purpose brought in a stellar photographer who took “Purpose Portraits” throughout the night; everyone wrote their “life purpose” on a transparency that was overlaid on top of their photo. These were tweeted and posted throughout the event and afterwards. Using a massive grassroots social media push and word of mouth, the event sold out, the film and United Purpose received a massive bump in awareness. We pulled off a $50K event for $5K, strategy and all. Challenge: Make doulas mainstream. And specifically, make Lisa Jacobson, a “must-have” for pregnant women throughout the NYC area. Overcome the fact that many people still don’t know what doulas are or what services they provide. Women confuse them with mid-wives or think they’re some kind of “alternative” nurses. In fact, they’re birthing coaches of sorts who have been used for thousand of years to help women through childbirth and using one has proven health benefits. Result: Mom by LJ, a name and brand with a clever, high-end feel that connotes trust, sophistication and the feeling of doing the “right” thing. In addition to an influx of “high-end clients,” Alicia Silverstone mentions Lisa in her latest book, The Kind Mama. Challenge: The poster is deliberately sideways, to break through the NYC yoga scene clutter. The goal was to position the Conquering Lion Yoga Teacher Training Program as the real deal, with founder Kelly Morris at the helm; steeped in authentic Yoga tradition and philosophy but free from the “hippie-dippie” trappings that many find off putting. Result: Branded the Conquering Lion Yoga Teacher Training program in a way that leveraged what our target cares about, in their language. We created straightforward, relevant, colloquial and well designed content and promotional material. We gave people an entirely new way to think about yoga, telling them that it’s not just about stretching, as well as literally making people turn their heads to read the fliers. We plastered these posters all over the city and the training program tripled in just one semester. Neon Butterfly actually sprung up after this success as people started coming to me to help brand their businesses.